U23s beat MTK Budapest II 5-2 yesterday. Nat Phillips, Jordan Williams, Toni Gomes and Bobby Adekanye (2) with the goals. Have a feeling the U23,s may not do quite as well this season but as 6 of the first team squad are in that age group I suppose it has already been a good season. Adam Phillips to Norwich City on a free. He left the club last month, injuries took their toll on him. U23s drew 0-0 with Coventry City's first team. That's especially impressive given how many of those lads are unavailable due to first team duties. Ings back on the pitch, back on the scoresheet! Looks like Ryan Crump is training with us again by that teamsheet. He left for Blackburn in 2014 but after spells at Hyde and Southport is a free agent. Nice to see us helping out a former trainee. U18s drew 1-1 with Derby County today too. Liam Coyle scored with a header. Atherton; Hunter, Lewis, R Williams, Glennon; Coyle, Sharif (Longstaff, 76), Tagseth; McAuley (Simmonds, 66), Jones, Millar. Unused substitutes: Lattie, Kelly, Brookwell. Any sign of new contract for Dhanda yet? U18´s beat a strong Blackburn side 3-2 this morning. Really good game to watch. Stevie has the lads playing well. Little Norwegian guy, Edvard Tagseth a real midfield dynamo. u23s playing in 5 minutes. 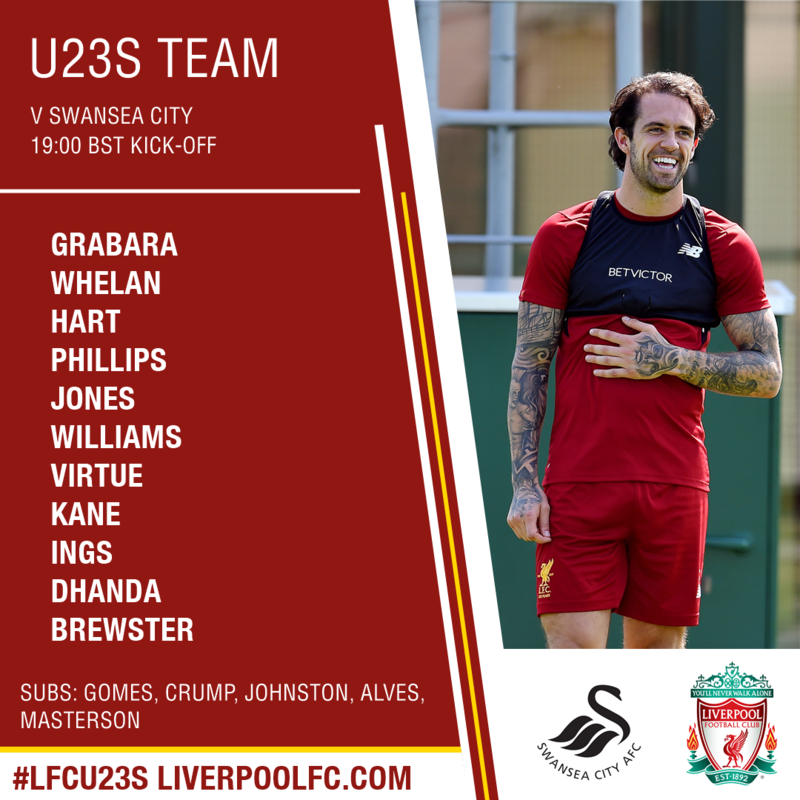 Grujic, Ejaria, Kent, Woodburn, Ings all starting. Strong line up, expect Sunderland to put up a good fight though, they're always tricky at this level. Couldn't find this thread when searched. Glad it exists. Looking forward to watching this mixed side. Most looking forward to watching Woodburn pull the strings. The pitch has some strange wavy patterns that make it look like there are humps every 10 yards. Looks rather good, doesn't he? Great touch, can pass the ball, turns in the blink of an eye. Pleasingly though he looks like he has some aggression to his game judging from this video. He doesn't appear to be one of these passive 'flair' players who look better than they really are, he was constantly trying to make things happen and putting himself about. Will keep an eye out for him. Promising signs, would be great to have another top Scandi in our side. Doesn't shy from aerial duels, always wants the ball, brave little fella. Nice, first time I see glimpses of him. I sat high up in the stand to get a better perspective on the action today. Sunderland at least offered some threat in the 2nd half and should certainly have gone a goal up. I attended the corresponding fixture last season and they were absolutely woeful on that occasion. We'd have got more of a game out of Darlington. Same result as last season although today we made much harder work of it. It was certainly disconcerting on the eye while trying to follow the play that's for sure, made for quite an interesting optical illusion. Got some photos on my phone which would give a good idea but can't upload them direct to a post. I was nauseous for the first 10 minutes. Nearly had to turn it off. U21s beat Arsenal 2-1 away. Rhian Brewster and Sam Hart scoring. U18s drew 2-2 with Newcastle, both goals scored by Glenn McAuley. There are few things more aesthetically pleasing than someone receiving the ball on the half turn like that, especially when he then turns the other way like he did several time in that vid. Looks solid. Gets stuck in. Left footed, favors it but not awkwardly so. Eye for a pass too. Tagseth looks and plays like Sammy Lee !! Good passing and vision, always available for a pass, quick thinker, but makes it look so easy. One to definitely watch. Sky: Liverpool Academy defender Sam Hart has completed a permanent transfer to Blackburn Rovers. Good luck to Sam. Personally I would have liked to see him get another year.Has been playing well and does not seem to have stopped improving.